Dr. Khaled Alawadi; H.E. Saqer Nasser Alraisi, UAE Ambassador to Italy; Her Excellency Noura Al Kaabi, the UAE’s Minister of Culture and Knowledge Development. Binder & Haupt: We remember the first time that we have experienced the contrast between Dubai's fascination with "bigness" —when the first buildings were rising along Sheikh Zayed Road— and the "normal" life of people in the flat traditional houses behind the skyscraper's wall, which at that time (2004) was just a single row of buildings. 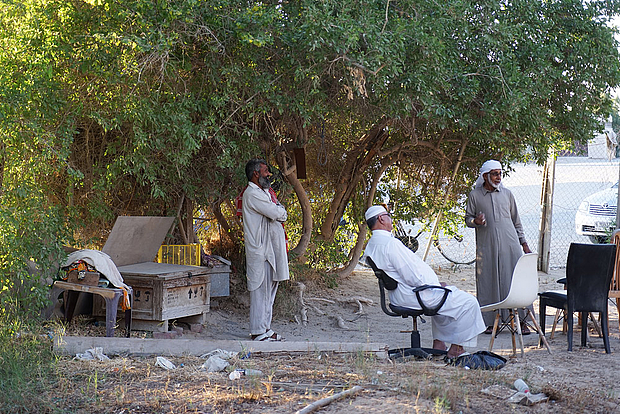 We were visiting our friend, the late Hassan Sharif in his tiny house in Al Satwa, where he used to create his now so famous objects of recycled material in the heat of his courtyard. Besides of focusing on this Al Satwa neighborhood, why did you choose the Al Shorta area, also in Dubai, for presenting the results of your research? Dr. Khaled Alawadi: The map of displaced traditionally oriented neighborhoods in Dubai is expanding. There are limited numbers of those neighborhhoods and Al Shorta neighborhood is one example. This summer the Al Shorta neighborhood was also vacated giving a way to a new development. Binder & Haupt: Which other aspects are particular to the Baniyas neighborhood in Abu Dhabi that you are sharing with the audience in Venice? Dr. Khaled Alawadi: We are sharing with visitors a detailed morphological analysis of the area from the land scale to the scale of the neighborhood. We have also mapped human behavior: we interviewed people, observed the activities, and provided detailed individual stories. Binder & Haupt: One of the urban typologies that you focus on in your research is "Networks of streets and sikkak." 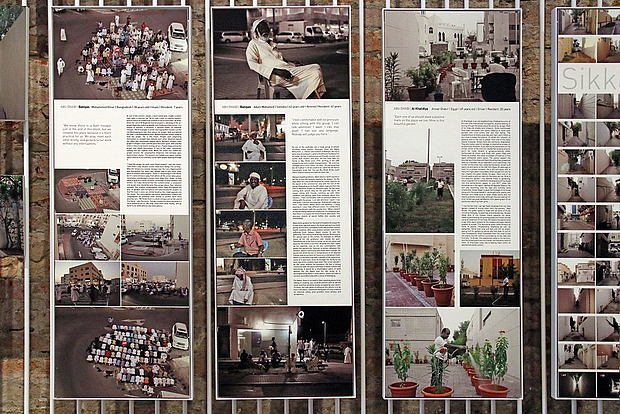 Does the term "sikkak" refer only to the remains of a traditional "organic" urbanization? Or are the narrow alleyways between high-rises also called sikka? Dr. Khaled Alawadi: Sikkak (sing. sikka) are narrow alleyways between plots and are routinely present in the region’s urban fabric. Sikkak play an important role in providing access to pedestrians and are a key feature in the hierarchy of the movement networks. Sikkak complement and enlarge the main network of streets —which carries both motorized and non-motorized traffic— increasing the number of pathways available to those traveling by foot. In Venice we provided a typological index of Sikkak in downtown Abu Dhabi. Sikkak exists in old communities as well as in new ones. They just come between two buildings regardless of their size/height. 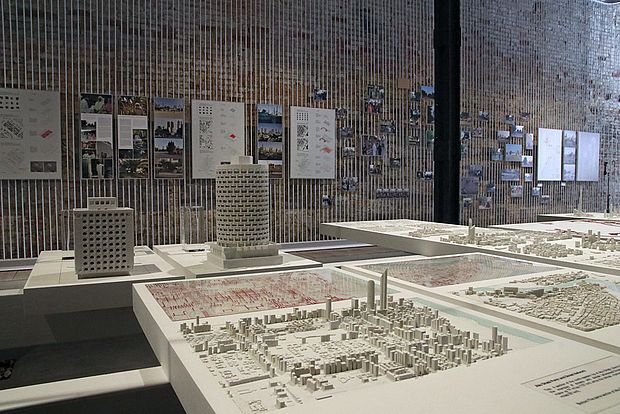 Binder & Haupt: Looking at the exhibition one realizes that people's spatial uses are quotidian solutions for their practical and social needs, which are often found "despite of" or defiant of the official top-down urban planning. How would you like to contribute with your research to a deeper understanding of these processes? And, how far do you expect or wish that the results of your research influence urbanistic decisions in the UAE? Dr. Khaled Alawadi: Lifescapes Beyond Bigness draws attention to the merits and virtues of human scale landscapes in an effort to spark a debate about current urban design practice, change common perceptions about the UAE’s predilection for mega urbanism, and provide a strong ground for the next generation of urban form in the region. 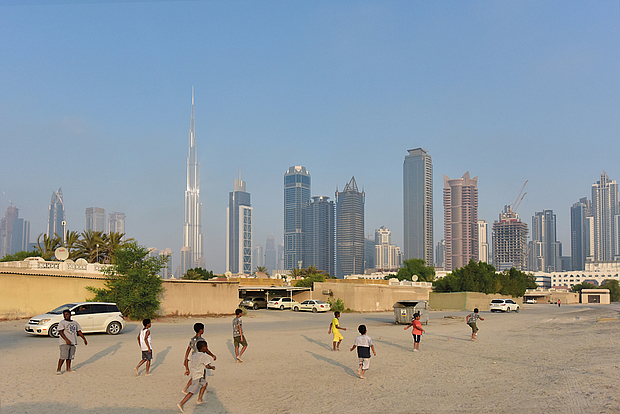 Urban form in the region is currently driven by economic motifs and this research provides a fertile ground for thinking about the future of urban design in the UAE and the region. 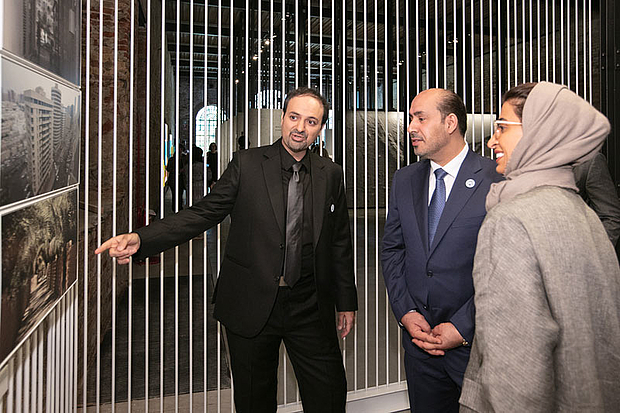 Binder & Haupt: Conceiving such an exhibition for a Venice Biennale Pavilion is a great challenge, especially because of the different audiences that have to be addressed, both the specialists and the general public, the Emirati visitors, and international visitors who are not familiar with the topography and context. How did you deal with this challenge? Dr. Khaled Alawadi: We paid particular attention to details and information. In addition, many of our presented materials were self-explanatory or included explanatory texts. Binder & Haupt: Are you continuing this exploration in other Emirates? Even though the contrast might not be as strong, but in some places it seems that the urban changes are going in the same direction as in Dubai and Abu Dhabi, whereas in others, it seems that there is exactly this development that the decision-makers are trying to avoid, or at least to steer in its course. Dr. Khaled Alawadi: There is a plan to study cities of Sharjah and Ajman. I am currently trying to cover some new areas in Dubai and Abu Dhabi; once this study is complete, Lifescapes Beyond Bigness will land in new locations exploring new sites and people. 58th International Art Exhibition. Curators: Sam Bardaouil and Till Fellrath. 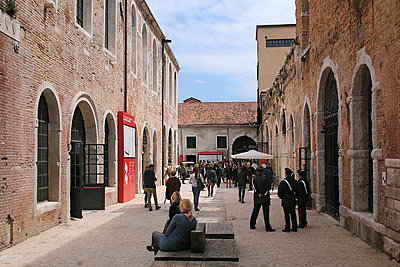 Arsenale, Sale d'Armi. 11 May - 24 November 2019. 15th International Architecture Exhibition. 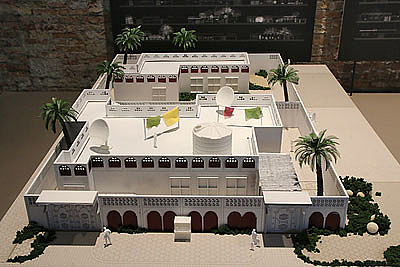 Transformations: The Emirati National House. Curator: Yasser Elsheshtawy. 28 May - 27 Nov. 2016.